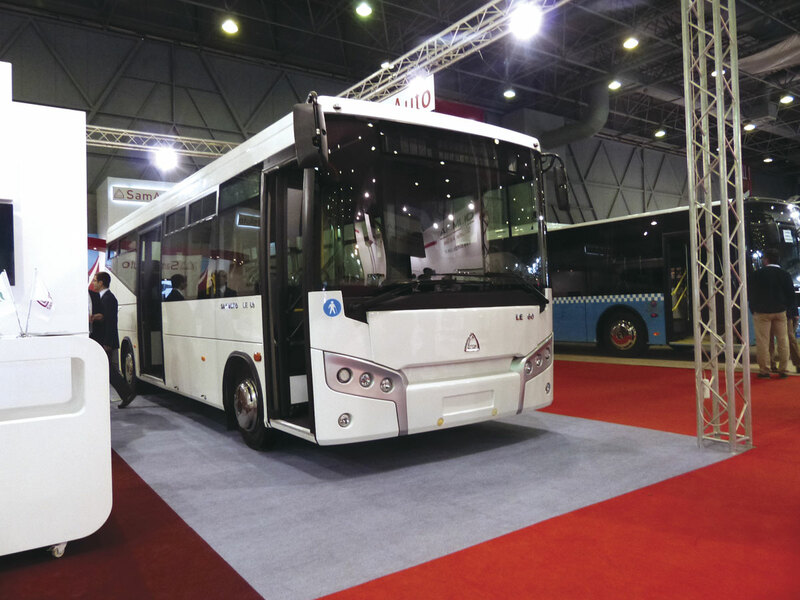 Busworld Turkey was held from 24 to 27 April in the Istanbul Expo Center which is very near the main international airport. The exhibition was solely for the bus and coach industry and filled two large halls. By the end of the third day, nearly 10,000 visitors had passed through the doors. They included quite a number of international delegations, partly because Istanbul is the largest airline hub in the region. 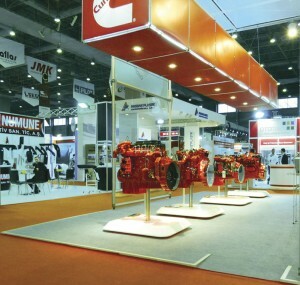 Last November I had also attended the Comvex Exhibition in Istanbul. It covered all kinds of commercial vehicles but was poorly attended by the bus manufacturers. Clearly, Busworld and its Turkish partners have a formula which is much more attractive to exhibitors and visitors. In a normal year in Turkey, registrations of buses and coaches with more than 26 seats are around 2,000 units. The market went up to 2,532 in 2011, followed by 2,410 in 2012 and then 4,027, its highest ever, last year. The main reason was heavy investment in low floor city buses ahead of elections. Turkey has required low floor buses since 2012. 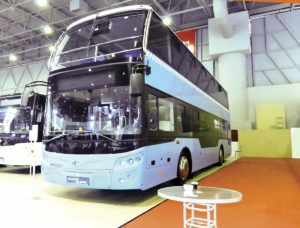 While there are some low entry midibuses, all 12-metre and 18-metre buses have full low floor layouts, with a further double-width door behind the rear axle. Midibuses and midicoaches are very popular. They are defined as vehicles with 17 to 25 passenger seats. Last year, registrations were 3,959, up from 3,084 the previous year. Turkey also has a strong export business. Last year, its manufacturers supplied 34,664 minibuses, largely boosted by the transfer of Ford Transit production to Turkey. Midibuses accounted for another 985 sales. Large buses and coaches totalled 4,498 units. 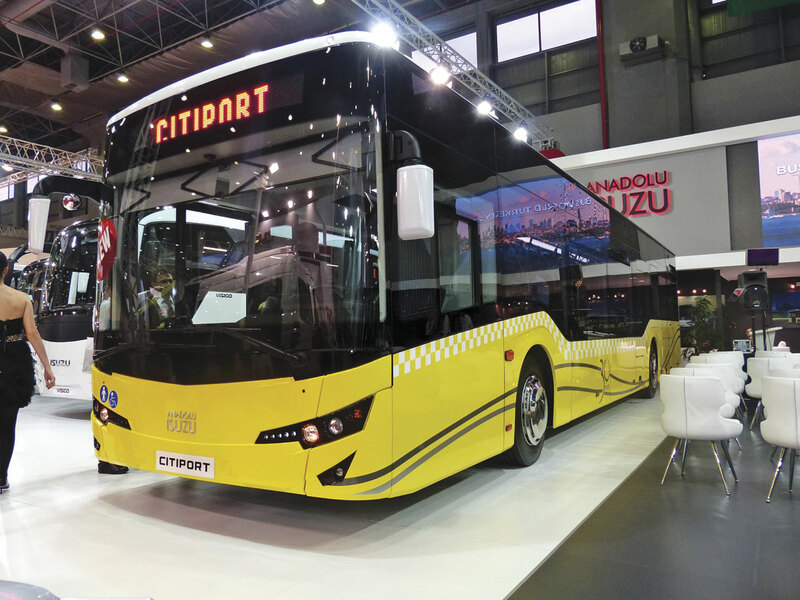 Neighbouring countries like Kazakhstan and Uzbekistan are also turning to low floor buses, and that is also encouraging Turkish manufacturers to develop new models. Anadolu Isuzu is well established. For many years, it has built a range of midibuses and midicoaches with a layout that is popular in Turkey. These little vehicles have high floors, an entrance ahead of the front axle, and the engine mounted above the front axle, driving conventionally to the rear axle. Isuzu has progressively developed low entry midibuses but sprung a surprise at Busworld with a full size 12m low floor bus, the Cityport. There was not a single Isuzu component in it, so it was badged as an Anadolu Isuzu. A Cummins ISB 6.7-litre engine was mounted vertically in line on the offside, with ZF gearbox and axles. The Cityport had a typical rather boxy Turkish shape, but the waist rail was lowered between the axles, helping to create a light and spacious interior. There is increasing demand for gas-fuelled buses in Turkey. The country is paid in gas for the use of pipelines that run right across it to the Mediterranean ports. The authorities have realised that buses can run on gas all year round and have therefore encouraged its use by offering it at a much lower price than diesel. Ankara has run MAN gas buses for quite a number of years, but Istanbul has only started to take gas buses in the last year or two. 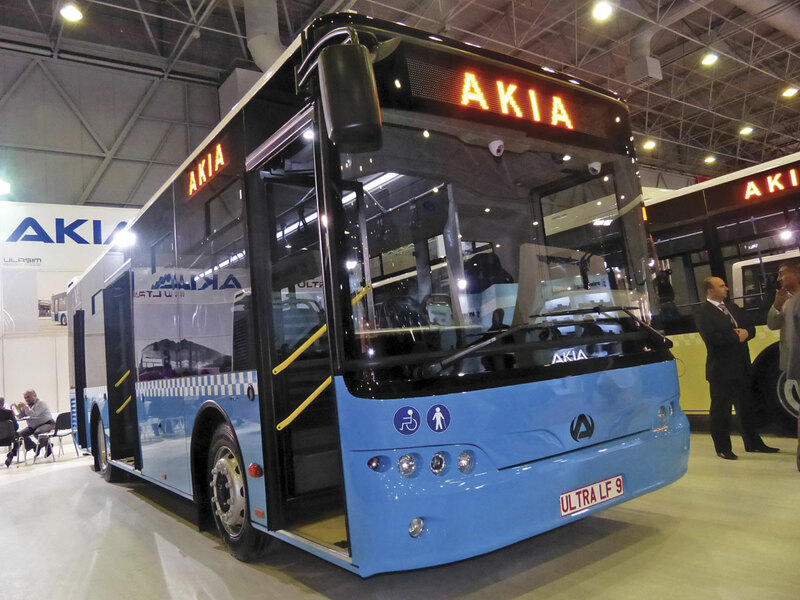 It is rare to go to an exhibition and find a new company, but there were three low floor buses on the stand of a company called Akia. It has built a new factory in the city of Bursa, a major automotive centre in Turkey, and opened for business six months ago. Akia has been building buses in the northern Iranian city of Tabriz for several years. There were a couple of Hess badges on the stand, but buses are not built in the Swiss company’s bolted aluminium system. They are made in stainless steel. The connection with Hess is that Akia acquired technology to build passenger carrying trailers and articulated vehicles some years ago. The owner of Akia decided to establish a factory in Turkey. The Ultra LF12 had a Cummins ISL EEV gas engine developing 320hp mounted vertically and offset in line at the rear. The driveline consisted of a ZF EcoLife fully automatic gearbox with ZF front and rear axles. The Ultra 9 was a full low floor midibus with a Cummins ISB4 engine developing 207hp and the same ZF drivetrain. The third model was an Ultra LF low floor bus with a Cummins ISB 6.7-litre engine developing 300hp and meeting Euro5 emission limits. 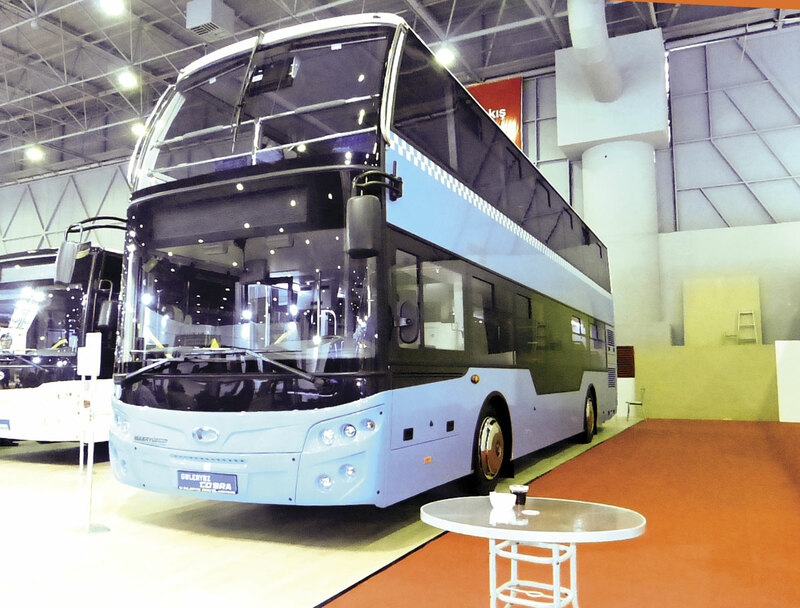 TCV (Turkish Commercial Vehicles) first appeared at Busworld Turkey two years ago with two prototype low floor buses. At that time, they had Iveco Tector engines. TCV is closely associated with the Bozankaya Group, a Turkish company that has factories in Salzgitter, Germany, and Ankara, Turkey, and makes, among other things, major structures for MAN. TCV’s low floor buses are built in stainless steel and are assembled and finished in MAN’s Ankara factory. Known as the Karat range, they have MAN diesel or CNG engines. It seems to be a most unusual arrangement, but MAN says that it enables them to offer a lower cost city bus range in the Turkish market alongside the Lion’s City. Bozankaya has ambitious plans to take more of the production in-house. The company has recently started delivering Trambus vehicles to a city in the east of Turkey. These 24.7m bi-articulated vehicles normally run as trolleybuses, drawing their power from overhead wires, but they have an auxiliary diesel engine and generator for movement off-wire. Guleryuz is a well-established company, based in Bursa, and offering a range of buses and coaches. The main single deck city bus, the Cobra GD 272 LF has been around for a number of years and is offered with either the MAN D0836 or the Cummins ISB 6.7-litre engine to Euro5 emission levels. This bus uses a ZF EcoLife fully automatic gearbox and ZF axles. Another popular model in the range is the GC 9 LE low entry midibus with a four-cylinder MAN Euro5 engine sitting vertically in line at the rear. Unusually, this employs a ZF synchromesh gearbox. Guleryuz also builds double deck buses at 11 metres on two axles. They have a double width door at the front and a second double width door almost in mid-wheelbase opposite a single staircase. Either the MAN D0836 or the DAF PR265 engine can be fitted. One of the company’s specialities is an open top version of this vehicle for city sightseeing. There are some in Istanbul but also in cities like Rome, and Yerevan, Armenia. Otokar has a wide range. Basri Acgul, Assistant General Manager, said that 2013 had been a successful year for Otokar and it grew its turnover by 40% with exports valued at approximately £75m. ‘Our international bus sales to about forty countries, predominantly in Europe, grew by 25%,’ he said. He commented that the company was proud to be selected ‘The Most Successful Research and Development Centre’ by the Turkish Ministry of Science, Industry and Technology. I went round that centre last November and can confirm that it is highly impressive, meeting all the relevant international standards. The stand was cleverly laid out with a full size Kent city bus and a Vectio low entry midibus sitting either side of a ‘city square’. Coaches were parked in echelon in part of the stand described as a ‘bus terminal’. Turkey is introducing regulations for the transportation of passengers in wheelchairs. There were quite a number of exhibits. Otokar launched the Navigo midibus with a wheelchair lift in mid wheelbase. Two years ago, Oghab came to Busworld from Iran but its vehicles were held at the border by Turkish Customs. This time, the company had more luck. It displayed the Dorsa, a high deck luxury coach with only 25 seats, on a Scania chassis. Oghab said that there was still high demand in Iran for intercity express coaches and that people were prepared to pay a premium fare for a more comfortable vehicle with greater space and legroom. The vehicle looked particularly well finished. Oghab can also build lower deck coaches and city buses and has a well regarded reputation for good engineering. SamAuto is the Samarkand Automobile Factory, based in the capital of the Republic of Uzbekistan. One of the exhibits was the HD41, a 6.92 metre midibus with a front mounted Isuzu engine to Euro2 emission standards. The gearbox and axles were also by Isuzu. A spokesman said that the company was building around 1,000 per annum, mainly for the domestic market. 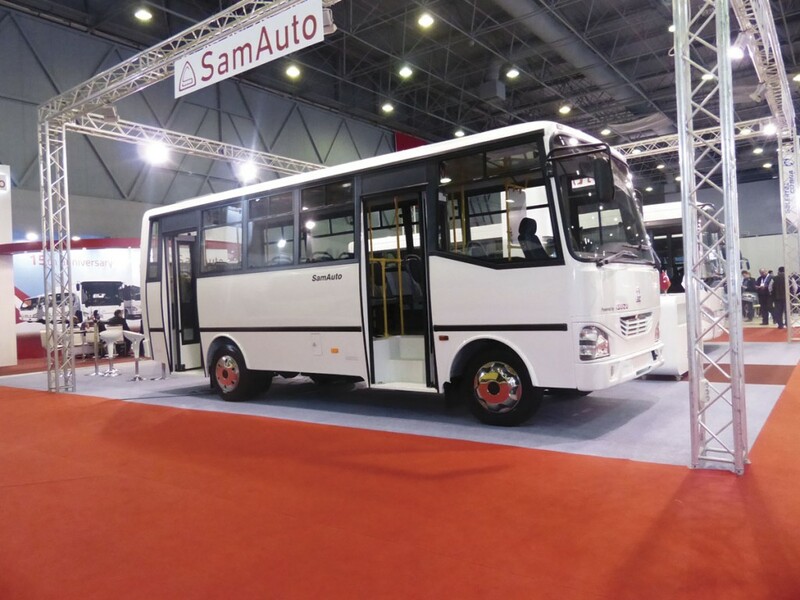 SamAuto also showed the LE60, its first low entry midibus. This 8m vehicle had a 185hp Cummins ISB Euro4 four-cylinder engine mounted at the rear and was fitted with an Allison 2100 fully automatic transmission. Volume production is due to commence shortly. Mercedes-Benz Turkey had a large stand. The company has now taken over sales of the Setra range, so exhibits included a tri-axle S 517 HDH TopClass with a Euro6 engine. Turkey will adopt Euro6 from January 2016. Mercedes-Benz was celebrating the manufacture of the 70,000th bus produced by the company in Turkey since it started in 1968. 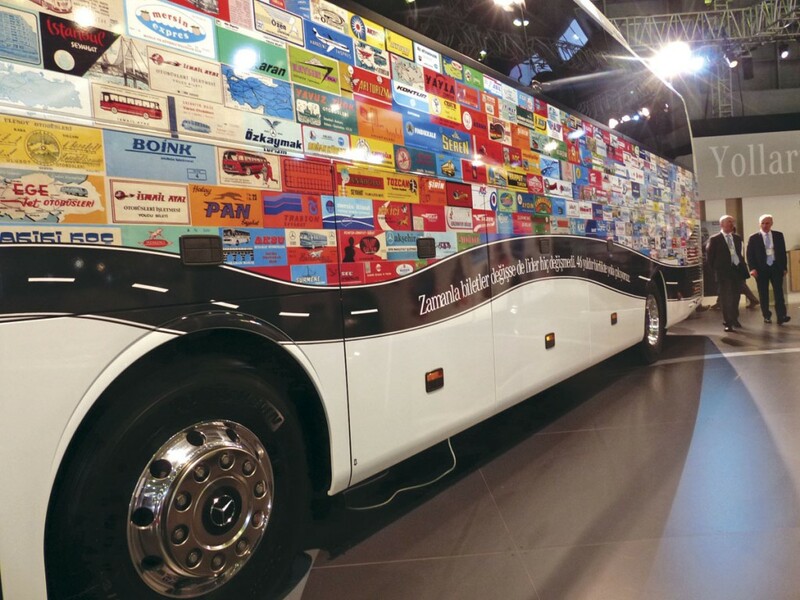 It was decorated with the tickets and ticket covers of all bus companies from the very beginning of Turkish coach history until the present time. Latif Karaali, co-owner of a Mercedes-Benz Türk dealership, provided the tickets from his collection and they adorned both sides of the coach. It drew a great deal of attention, with several operators wanting to buy the vehicle there and then. Mercedes-Benz said that the tickets gave an important message. Although they have changed with time, the leader has not changed. While some of the companies no longer existed, many of them were still on the road. With the special design, Mercedes-Benz Türk emphasised its historic co-operation with the sector. In a forthcoming issue, Bus & Coach Buyer will carry an interview with Rainer Genes, President and CEO of Mercedes-Benz Türk, who produce the Tourismo coach for the UK market. Karsan had a large stand. Most of the vehicles had been seen last October at Busworld Kortrijk. 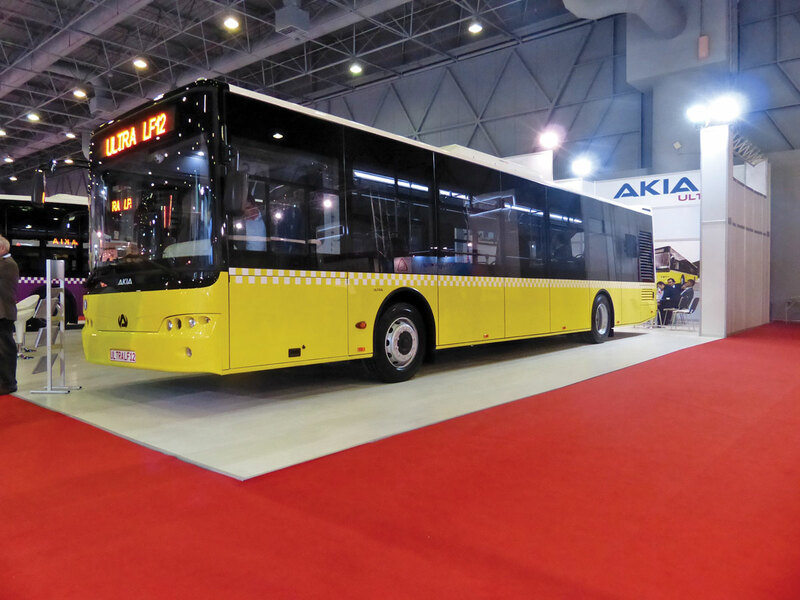 The low floor midibus is now known as the Atak and is about to go into volume production. A little midicoach known as the Star uses the same structure, but with a higher floor to provide luggage capacity underneath. In order to achieve a short rear overhang, both vehicles use a compact Fiat Power Train engine mounted transversely at the rear with an Allison automatic gearbox and an angle drive to the rear axle. Karsan has also supplied large numbers of BredaMenarinibus city buses, both solo and articulated, with diesel and CNG engines. Many were running in Istanbul, including on the very busy segregated busway. BredaMenarinibus is owned by Finmeccanica, an Italian state company. The latter has said that it wants to sell BredaMenarinibus because it has incurred very heavy losses over the last two years. Karsan has invested in the jigs, tools and locally sourced material to build the range in Turkey and would like the rights to the BredaMenarinibus name because that is helpful when submitting international tenders. However, the latest information from Italy is that Finmeccanica is talking to King Long and a large family-owned transport company from Bari in the south of Italy. They want to take over the former Iveco bus factory at Valle Ufita that has been empty for three or four years. It is a vast plant, capable of building 2,000 units per annum. It seems like pie in the sky, because there is no way that manufacturing costs in Italy can compete with those in Turkey, but Karsan will have to wait to see what happens. As you will by now have gathered from this report, Cummins is doing remarkably well in Turkey. Ashley Watton, Bus Engine Sales Leader for Europe, said that bus engine sales in Europe had reached the highest level to date in 2013, with over 6,500 units. Of those, 3,000 were supplied to Turkey for local and export use. The company seems to be particularly well placed for the upcoming change to Euro6 and is already supplying Euro6 engines for Turkish exports into the European Union. The Chinese electric bus manufacturers, BYD, had an interesting stand with a number of models displayed and a full size demonstration bus available outside. They seemed confident that Turkey was a promising market for all-electric vehicles. To some extent, this was corroborated by talking to domestic manufacturers. They thought there was unlikely to be any great interest in hybrid vehicles because of the higher price. 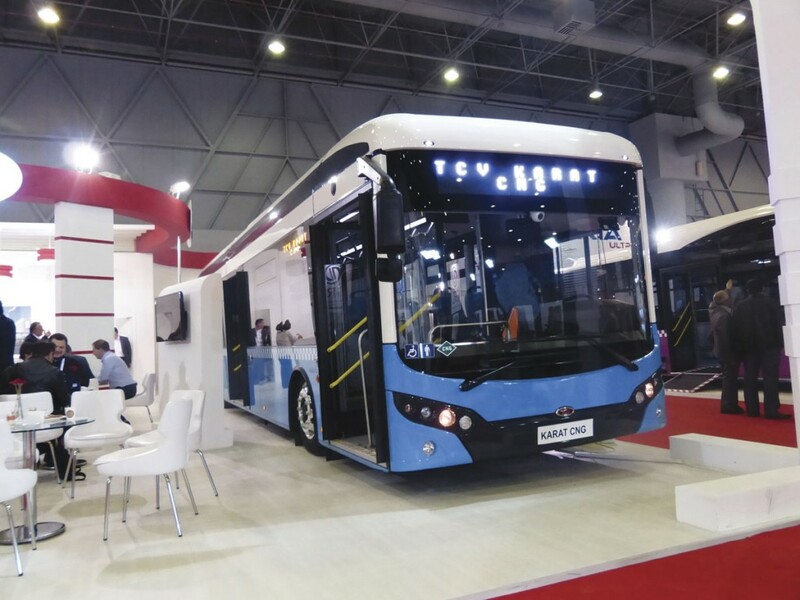 Evidently, the Turkish Government have asked for bids from manufacturers, working in conjunction with other interested parties, to develop a Turkish all-electric city bus, including batteries made in Turkey. The Government seems to be serious, because around €100 million has been allocated for the project. It could make sense, because gas that is used to generate electricity is reckoned to be twice as efficient as gas used in a combustion engine. Turkey also has a thriving industry converting panel vans and, in a few cases, building bodywork on chassis cowls. One of the leading manufacturers is Erduman. Unfortunately, its vehicles were rather packed onto the stand, but the company builds around 150 conversions per annum including some with very high interior specifications. Like several other converters, this company is based in Bursa. There are many component suppliers in Turkey, making every conceivable part, with the important exception of drive trains. These are still imported, but there are several local manufacturers of items such as seats, air conditioning, lighting, destination equipment, luggage racks, and complete mouldings like driver’s cockpits. Because these companies supply the likes of Mercedes-Benz in Turkey, their quality standards are very high, but their prices remain most competitive. It was disappointing that neither MAN nor Temsa attended. MAN prefers to have its own roadshow for customers, but, if you do not have a stand in an exhibition like Busworld, you do not know who you might miss. It is natural to look after one’s customers, but also very good to meet new people, and where better than an exhibition like Busworld Turkey? I met Omer Sözütek, Temsa’s International Business Director, in one of the halls. He said that their business in the United States is going very well and that they expect to deliver 300 coaches this year, over three model lengths, ie 30ft, 35ft and 45ft tri-axle.